Offers a comprehensive approach to strategic planning: how to formulate strategic plans that will develop the company's strengths, be responsive to changing business conditions, and chart a productive and profitable company future. Provides numerous charts, worksheets, and other resources. Patrick J. Below is the author of The Executive Guide to Strategic Planning, published by Wiley. 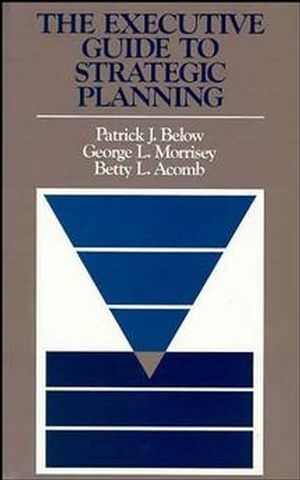 George L. Morrisey is the author of The Executive Guide to Strategic Planning, published by Wiley.